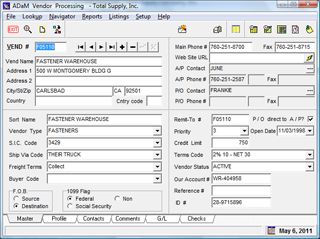 ADaM Vendor Processing provides detailed information and history about your vendors so that you can make intelligent purchasing decisions. Purchasing profiles can let you know how to get the most from your vendor. Default G/L posting criteria expedites the A/P invoice process. Unlimited comments let you record notes and unique information about each vendor. 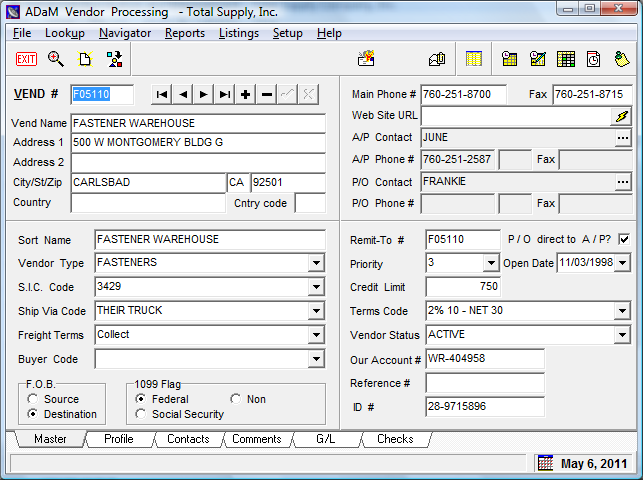 Enhance your relationship with your vendors with complete information from ADaM Vendor Processing.